She is amazing, beautiful and captivating. She makes you look forward to each new day that you spend together. She is constantly on your mind, and not a moment goes by that you want to be apart. She holds the keys to your heart, and she deserves to know it. 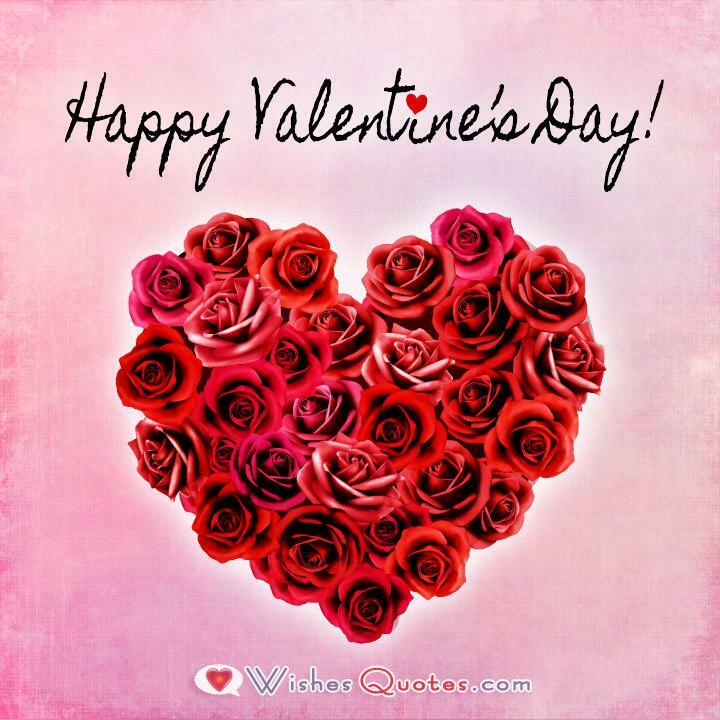 Valentine’s Day is the perfect time to pour all of your love into your sweetheart, yet flowers, candy and trinkets may just not be enough to convey the meaning she has brought to your world. This is because the special woman in your life needs to hear your love put into words, no matter how busy you are. Fortunately, you can still pull off a charming holiday gesture by sending a sweet sentiment. We know that every couple has a unique love story, and these romantic Valentine’s messages are designed just for her. Whether you send it in an old-fashioned letter or shoot off a quick text, your sweet gesture will make her heart race with joy knowing that she is the woman that you adore. If I had to, I would spend an eternity waiting on you. You are so amazing that it would be worth the wait. I am grateful for your love this Valentine’s Day and every day for the rest of our lives. The day you agreed to be mine was our own private Valentine’s Day. Today, we celebrate our love with the whole world. Happy Valentine’s, dearest one. If I had bought you a dozen roses, each one would be jealous of your beauty. So I saved them the pain and wrote you these words instead. You are captivating. 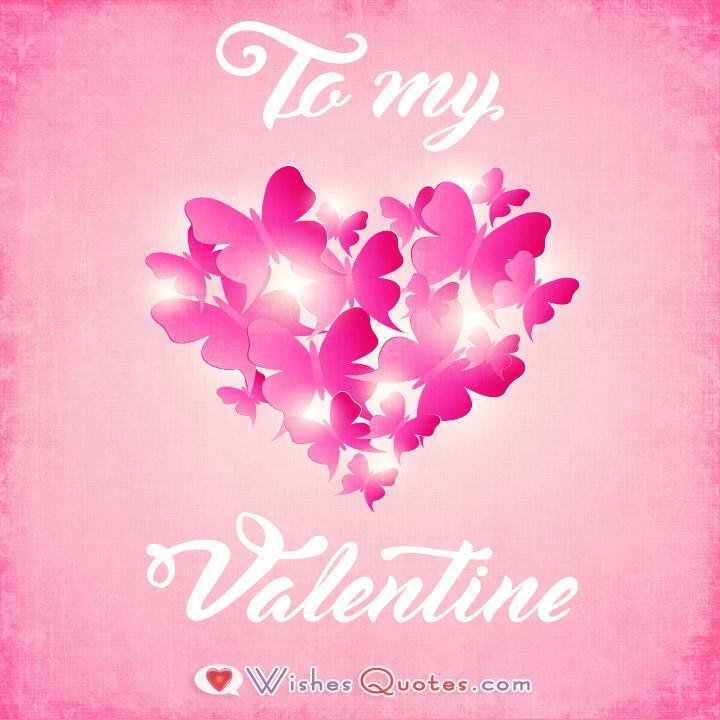 I love you from the bottom of my heart, Valentine’s Day or not. Since I fell I met you, I have found the courage to love deeper than I ever thought possible. Finding you was like finding a treasure, Our love brings me such joy and pleasure! Happy Valentine’s Day, my darling! Our love reminds me that no matter how many thorns may stick themselves in our hearts, there is always a beautiful rose to ease the pain. I love how we are always there for each other through thick and thin. Our love heals all. I’ve always been known as the tough guy, and I know I don’t always have the right words to say. But I positively melt when I am in your presence. Happy Valentine’s to the sweetest person this side of the equator. One morning, I woke up with a spark in my eyes and fire in my heart. Do you know why? It’s because I’d found you. To watch your dreams come true and walk around is something to behold. You are like looking at an image straight from my wildest dreams. 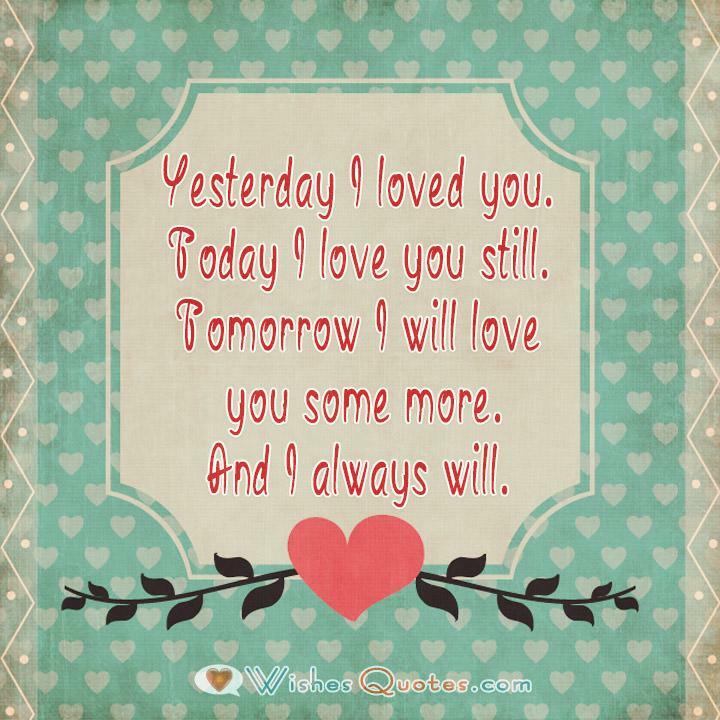 Today I love you still. Tomorrow I will love you some more. I have a secret. I fell in love with someone yesterday. In fact, I keep falling in love every day, and each time it is with you. I thought about planning a special Valentine’s date, but then I remembered I’d rather have you all to myself. Here’s to an evening in that is full of romance. Have we really celebrated this many Valentine’s days? Time just flies when two hearts are soaring as one. I am looking forward to many more.